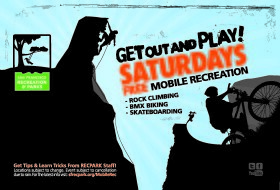 The San Francisco Rec and Park would like to invite you to get out and play. There will be Climbing Wall, Disc Golf, Skateboards, BMX Bikes & Razor Scooters on site. We will provide safety equipment.